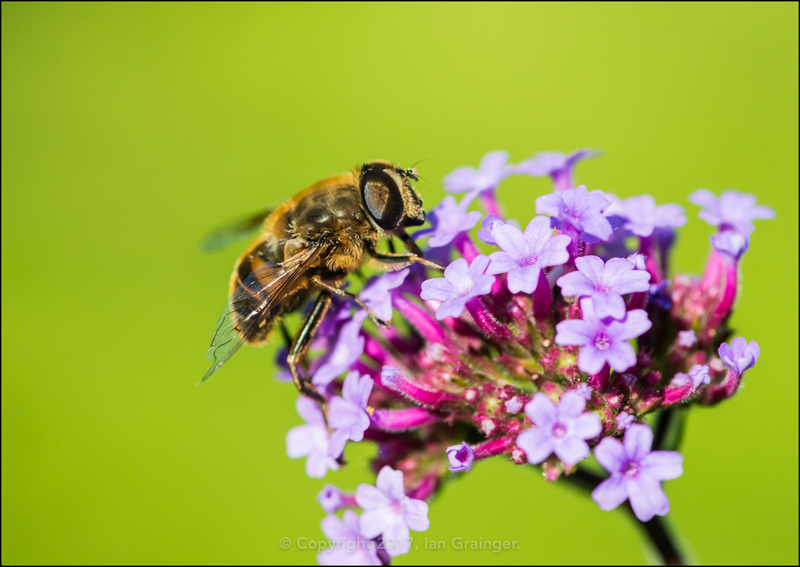 After a couple of chilly Sunday morning photo shoot jaunts around dad's garden, this week it was absolutely glorious. 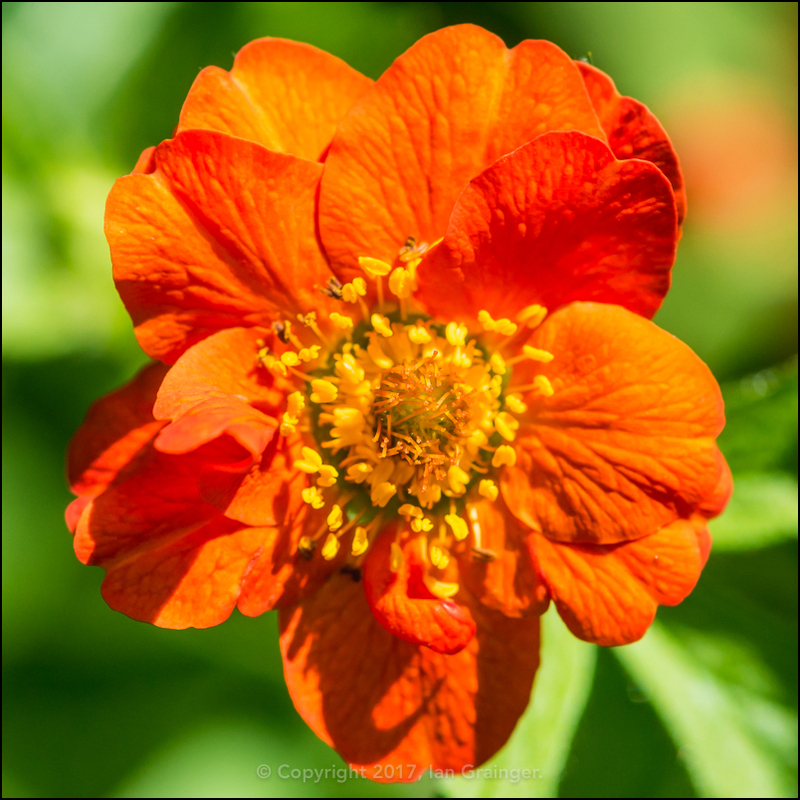 The warmth that had been missing from the early morning was back, as were a plethora of birds, bugs and blooms. 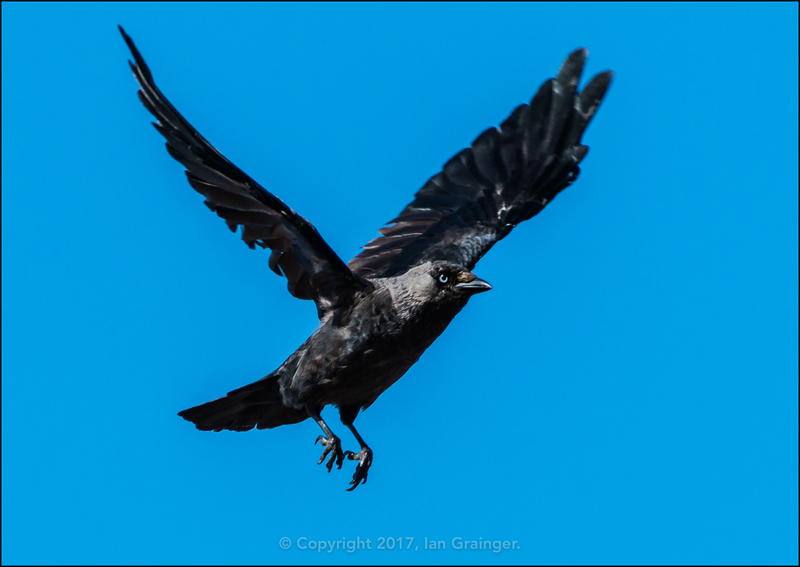 My favourite this week was this curious Jackdaw (Corvus monedula), who crowed and cackled away as he seemed to follow me around the garden for a while. I was very pleased to grab this shot of him as he jumped into flight from a neighbouring rooftop. 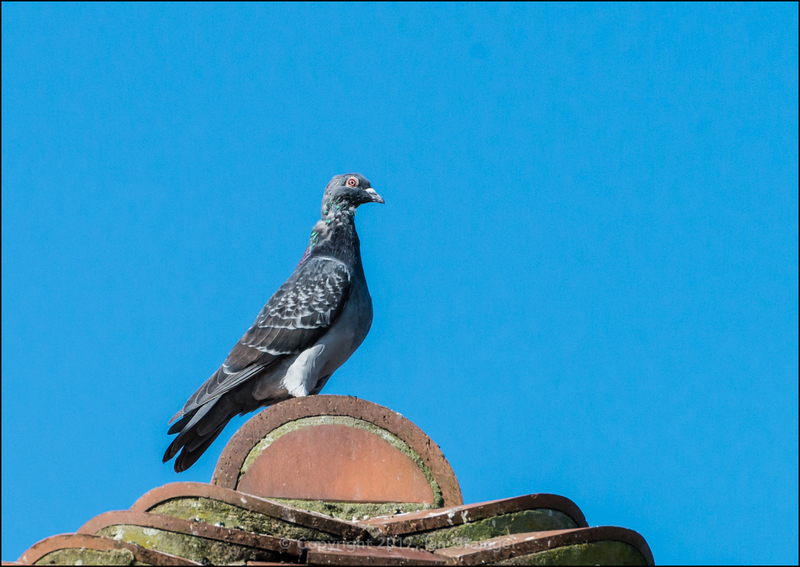 Actually, the same rooftop that this Feral Pigeon (Columba livia) is standing on, which appeared only seconds after the Jackdaw had departed. 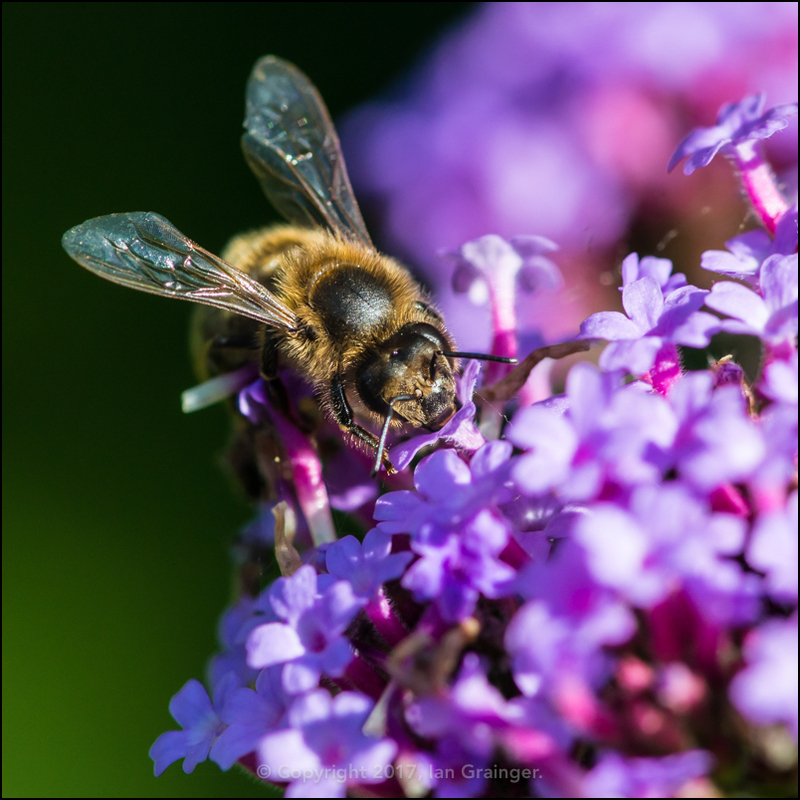 Anyone who follows my blog knows that I love macro photography and nature photography, and most of my photographs fall into one or other or indeed both of these categories. 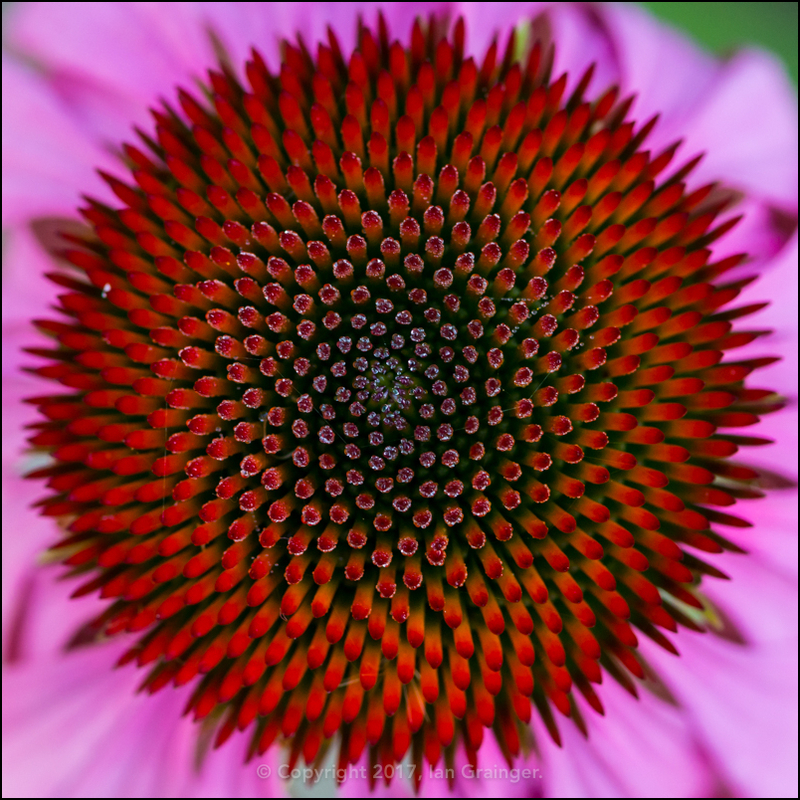 However, I also have another photographic passion, and that is abstract photography. 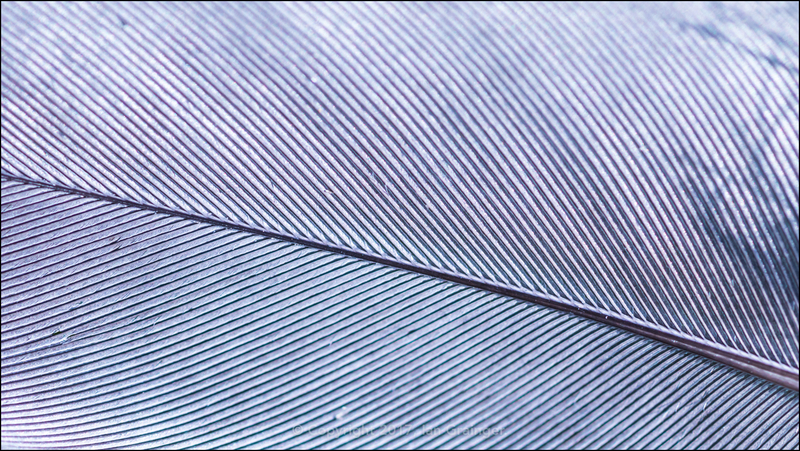 I love that you can make almost any subject into something abstract, and in this case it's a feather. 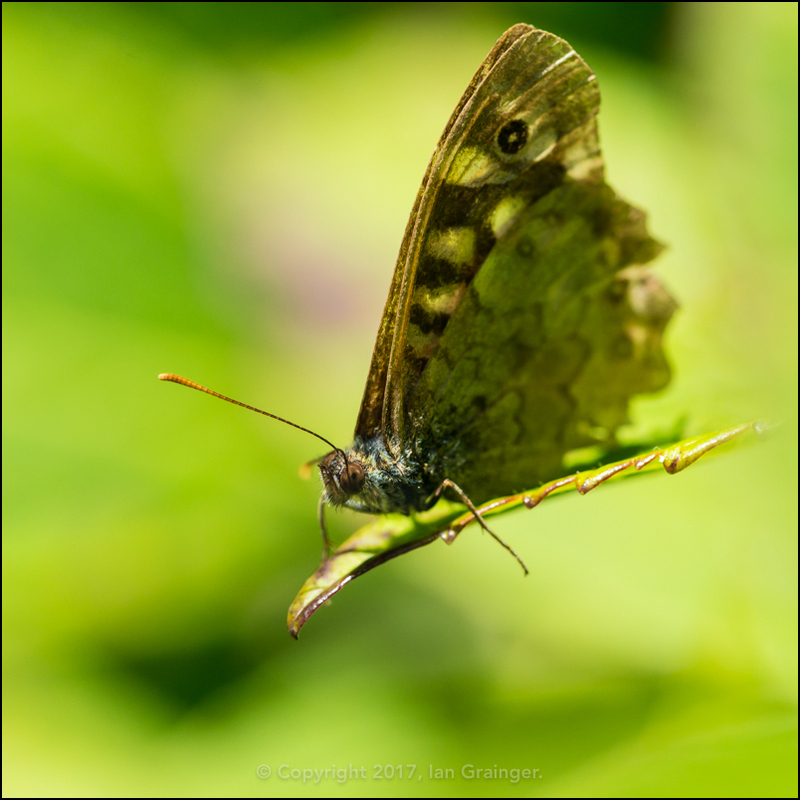 Switching back to the more familiar, I was joined by this Speckled Wood Butterfly (Pararge aegeria) on my morning wander, which looked like it had seen better days. He let me get up close and personal, and didn't fly away even when my shadow crossed over him. 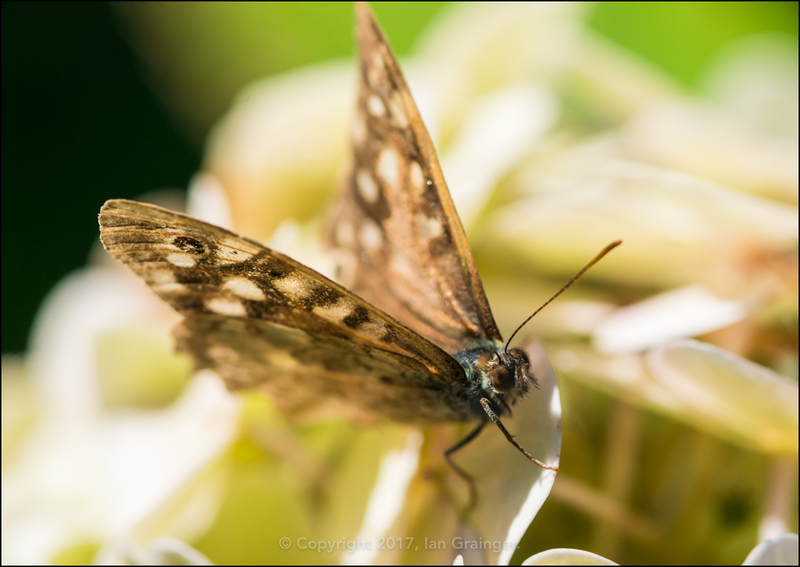 You can't really see it in either of these images, but his wings were faded and incredibly tattered, which led me to suspect he was an old timer. 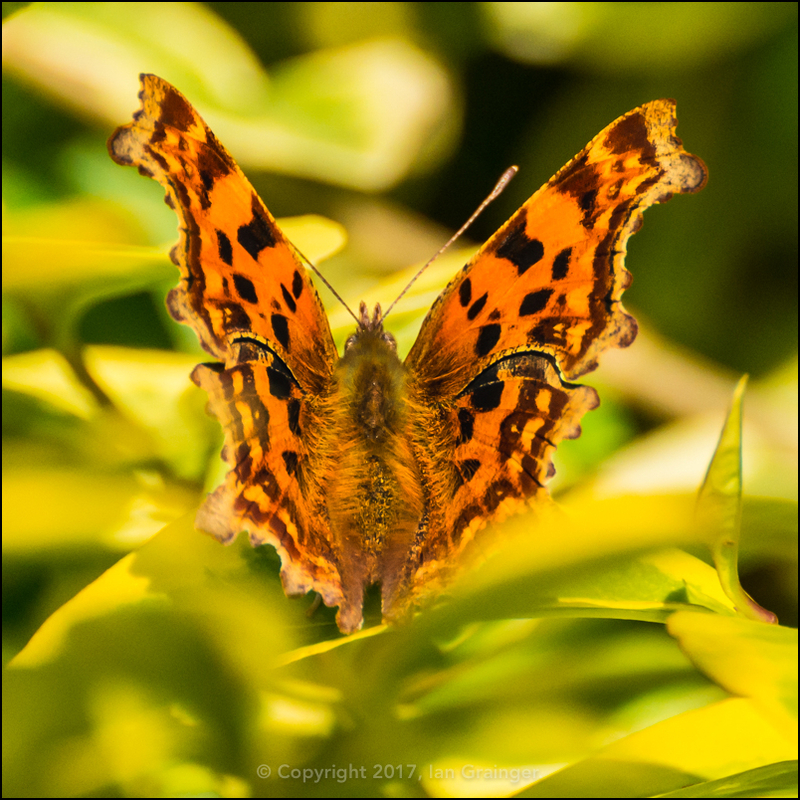 By contrast, this Comma Butterfly (Polygonum c-album) was bright, fresh, crisp and incredibly colourful. It must have emerged from its chrysalis very recently. 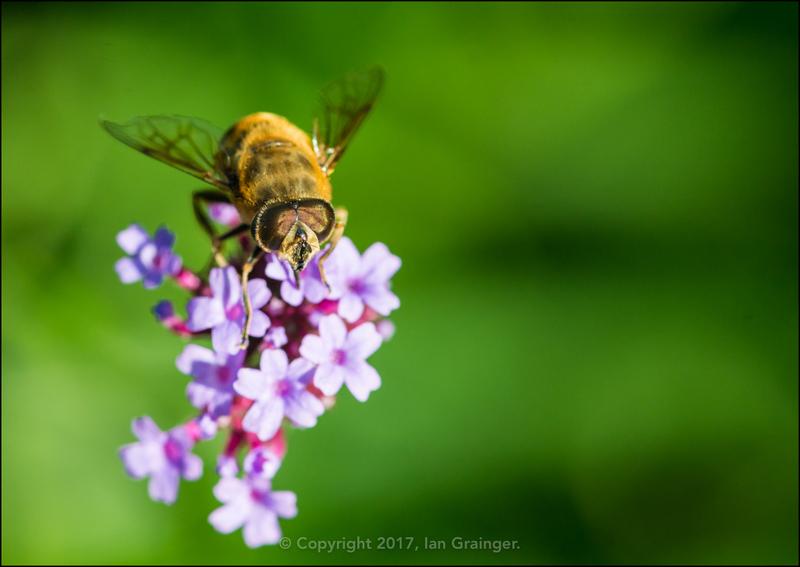 ...and the Honey Bees (Apis mellifera) couldn't seem to get enough of them! So, they have done their job, and are a contender for the wildlife flower patch again next year. 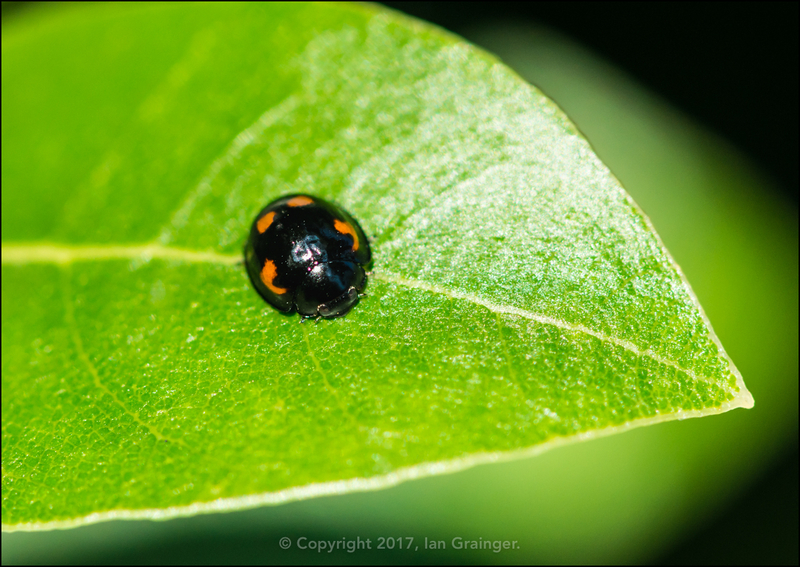 I posted a picture of one of these very small Pine Ladybirds (Exochomus 4-pustulatus) a couple of weeks ago, and had only just found out what they were called. Although they like Pine, and Hawthorn, this one was enjoying life in the leaves of a Bay Tree (Laurus nobilis). 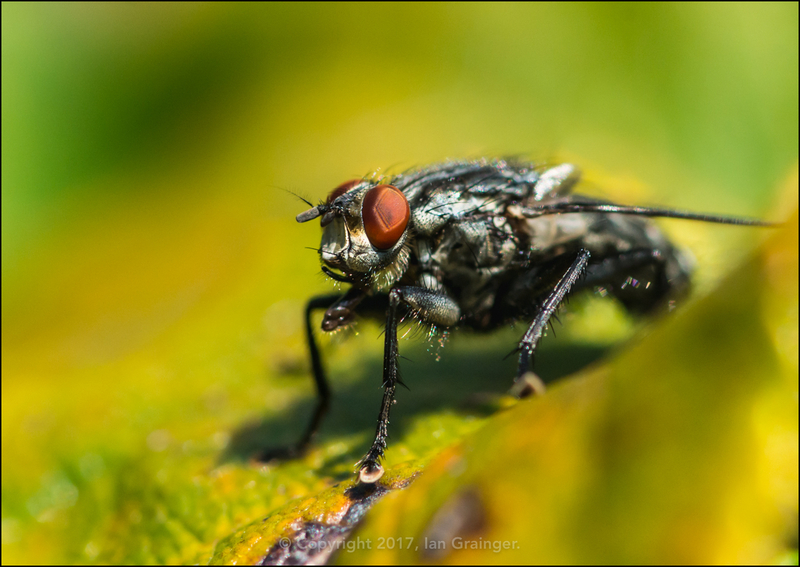 I was enjoying getting up close to my bug buddies, and this Flesh Fly (Sarcophaga carnaria) was very obliging. The warm weather was definitely doing wonders for the fly population. 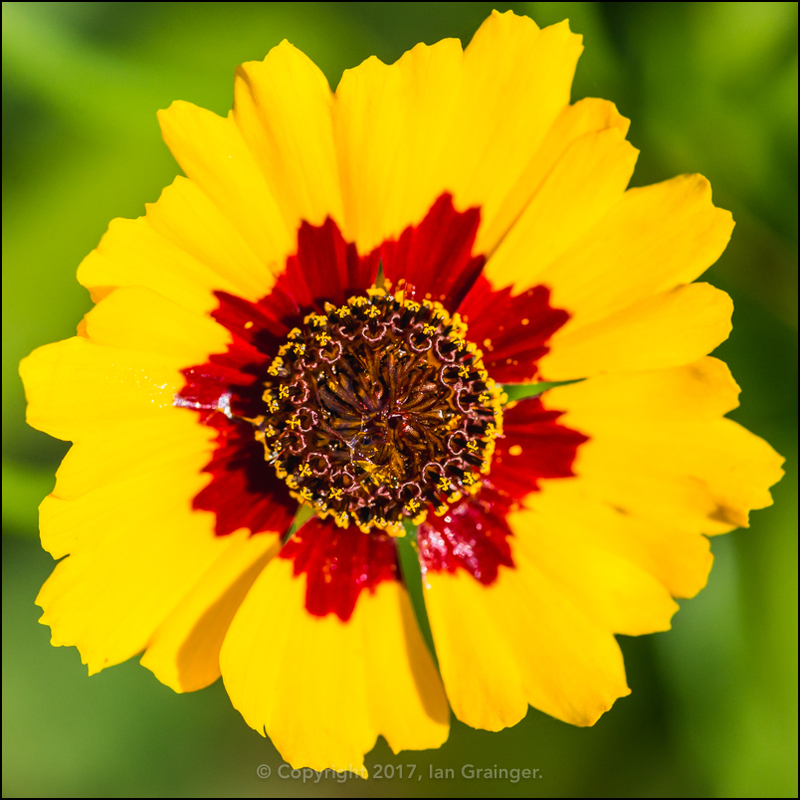 ...as did this very pretty Plains Coreopsis (Coreopsis tinctoria) bloom. 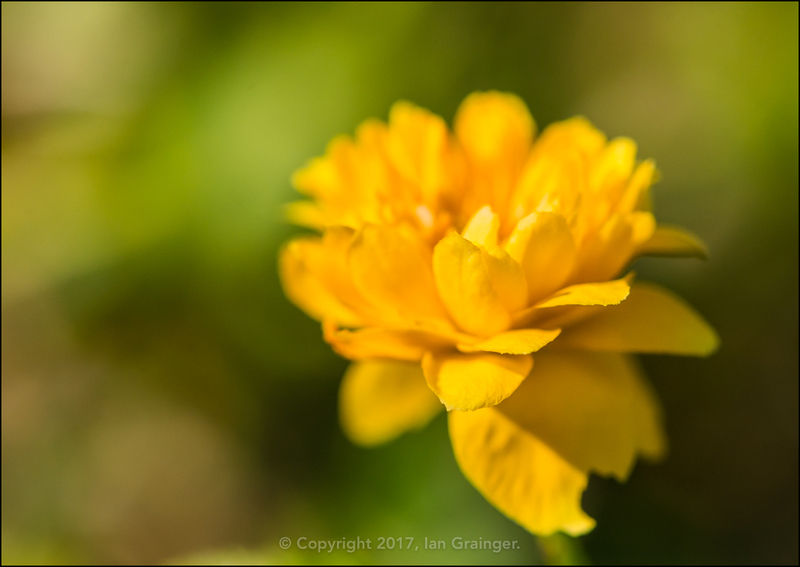 I was very surprised to see this Kerria (Kerria japonica) bloom, as they are normally a Spring flowering shrub, but it was a welcome addition to the garden. 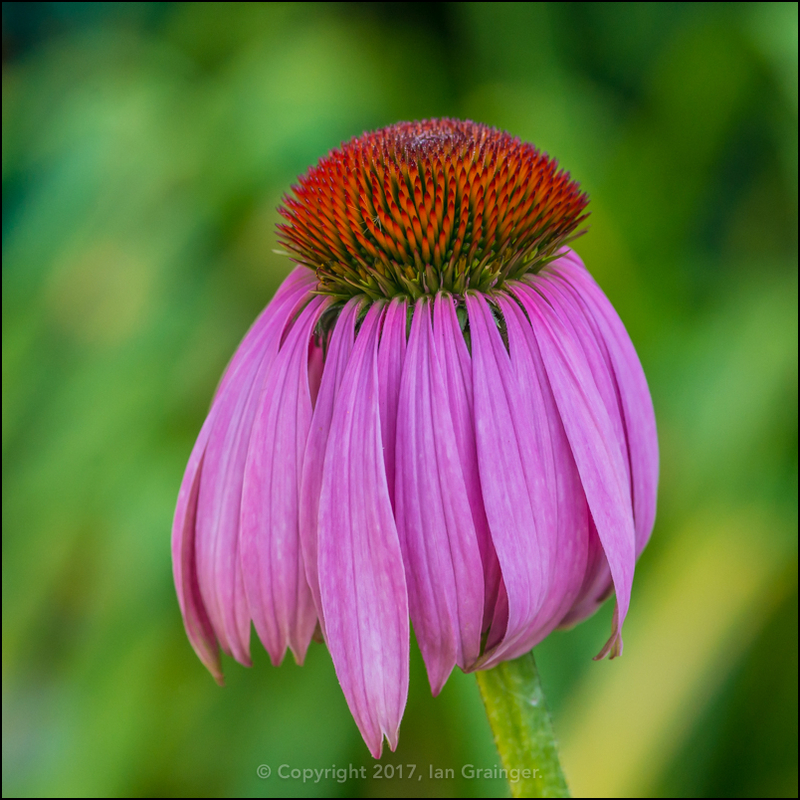 After week's of false starts, the Echinacea were performing more like I'd expect them to perform. I love how this particular variety ends up looking like a badminton shuttlecock. I was also able to use one to indulge myself with another abstract nature image, which was so mesmerising that I nearly chose it as my main Image of the Week! 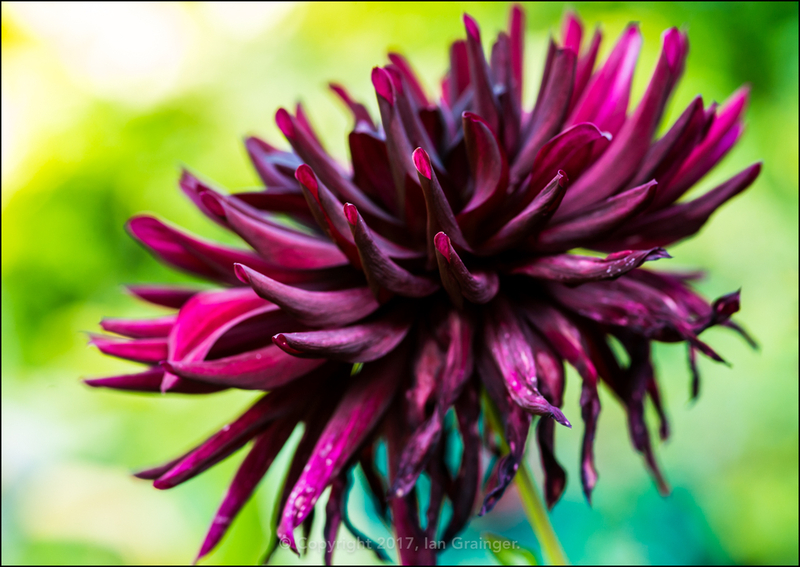 While my Dahlias had performed terribly this year, my dad's were putting on a marvellous show. This 'Nuit D'Ete' variety must have had at least 50 flowers so far, and showed no signs of stopping. Peering into a few pots, there was some good news. 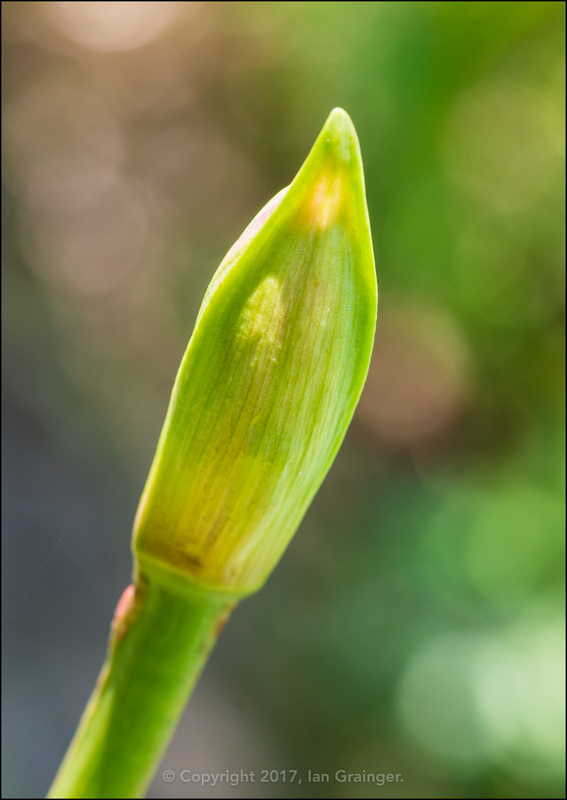 The Nerines (Nerine bowdenii), which had been all leaves so far, had produced at least one flower bud, so there would be at least one point of colour in the garden come November. Although it was like a Summer's day, there were still the all too familiar signs of Autumn's imminent arrival. 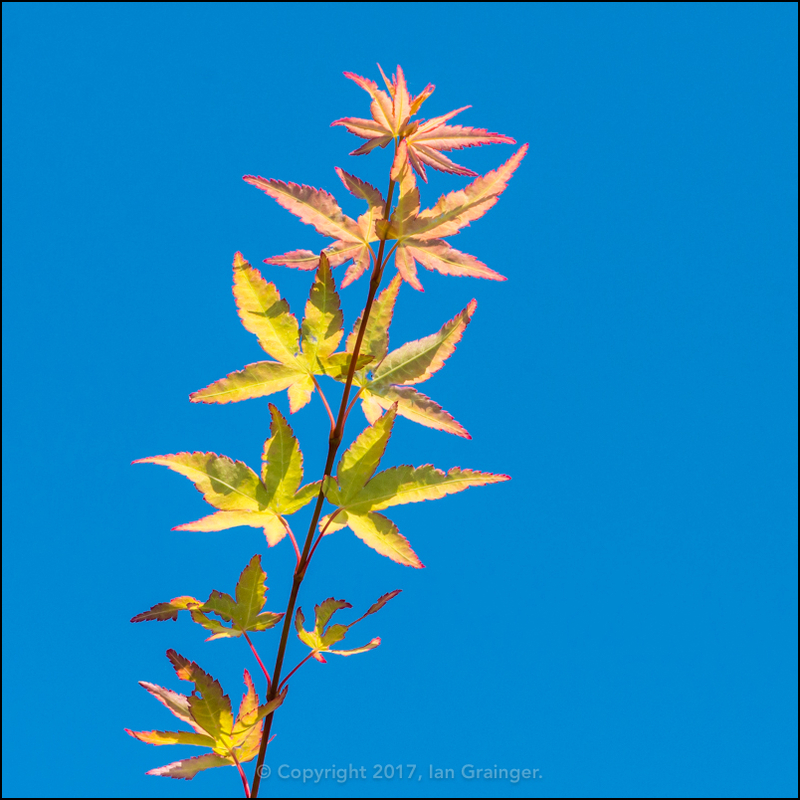 I loved how this single branch of Acer palmatum had leaves of nearly every conceivable colour. 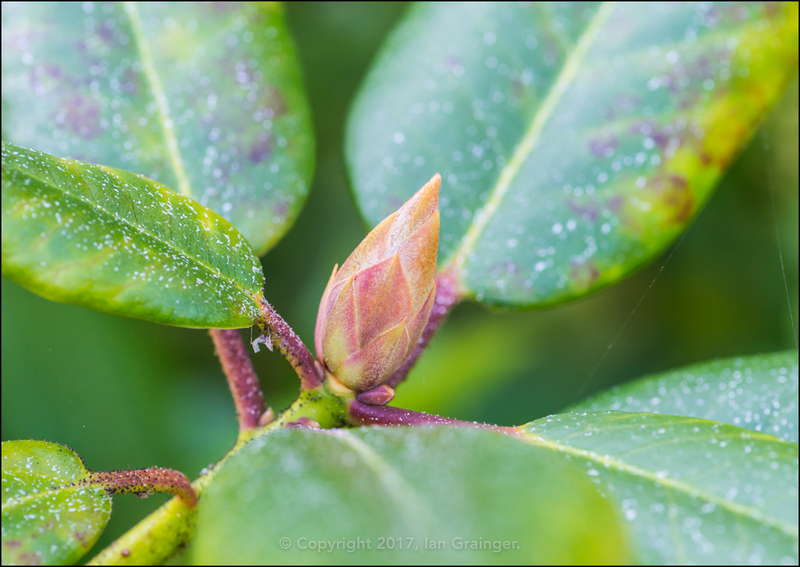 Not to be outdone by the Camellia Bush bud from last week, this week it was the turn of the Rhododendron Bush to begin generating buds that wouldn't open up until late Spring next year. 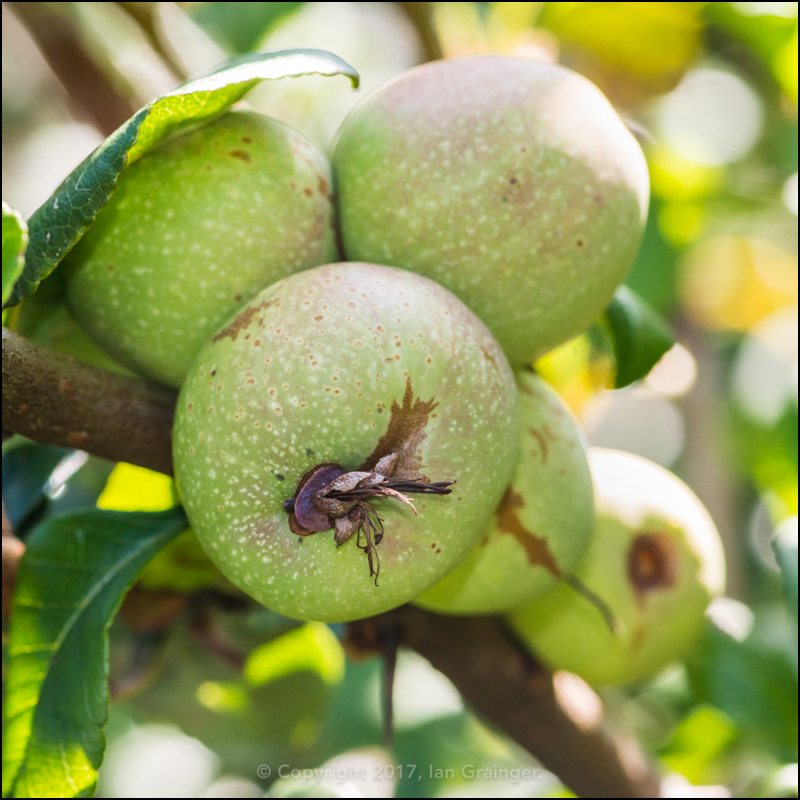 The Quince Bush (Chaenomeles) was also in the process of generating fruit, which usually become ripe sometime around Christmas time - but it's far too early to be mentioning that particular word. Finally, a photograph of another fishy friend. 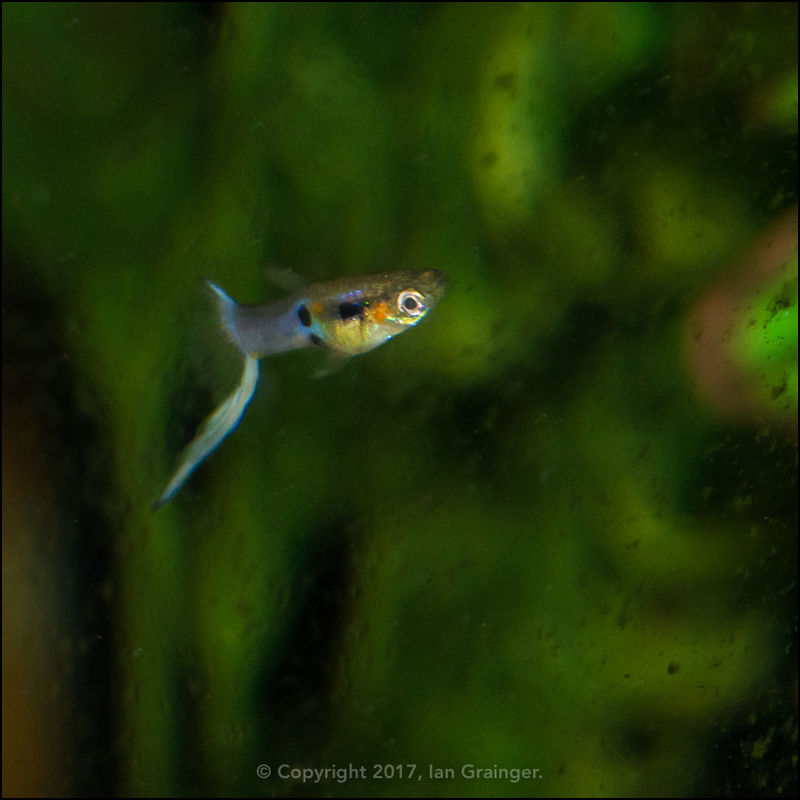 I know I've posted a picture of my one and only Endler Guppy (Poecilia wingei) in a previous article. However, I wanted to tell his story. He was a completely accidental purchase. He came in with a bag of other fish I had purchased, and neither myself or the shop assistant spotted him - being just over a centimetre in length. When I eventually found him, and realised that I had a tank with the right conditions, I decided to keep him. He actually thinks he's a Rummy-nosed Tetra, and can be found in their shoal about 90% of the time. He's such a character that I've decided to name him Elvis - because he 'left the building'.